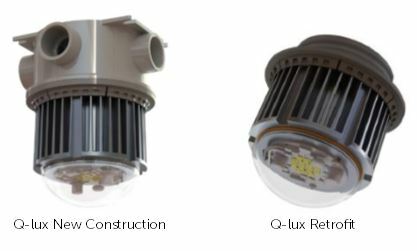 The Q-Lux LED Utility Light is a rugged, 12 Watt, 50,000 hour long-lasting LED light designed for new construction and retrofit applications. The light is IP69K rated, meaning that it is completely dust proof, waterproof, and can also be pressure washed with high temperature water. 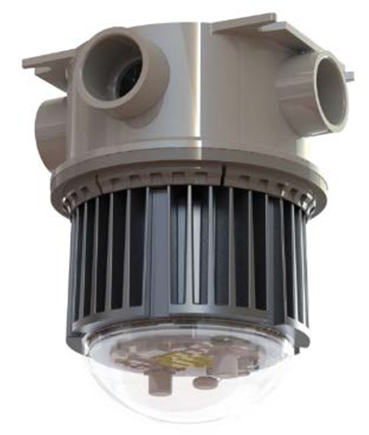 Paired with the Energyficient Q-Box, the new construction light fixture requires no assembly screws, or gasket to handle and it eliminates the need for a light socket. Simply twist, lock, and you are water and dust tight! The retrofit light replaces the existing light bulb and glass jar in traditional jar fixtures and also gives you a water and dust proof solution.